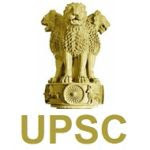 UPSC Advertisement No 18/2017 – 18 Engineer, Marketing Officer & Other Posts :- Union Public Service Commission (UPSC) has issued notification for the recruitment of 18 posts of Marketing Officer, Veterinary Officer, Lady Medical Officer, Junior Scientific Officer, Assistant Engineer & Junior Research Officer. Interested & eligible candidates can apply online through official website of UPSC. Last date for submission of online application is 12/10/2017. For Marketing Officer (Group-III) (Oils and Fats) : Masterâ€™s Degree in Chemistry/Agrculture Chemistry/Dairy Chemistry/Dairying from a recognized University or equivalent. OR Bachelorâ€™s Degree in Oil Technology/Food Technology/Chemical Technology/Dairy Technology from a recognized University or equivalent. For Veterinary Officer: Degree in Veterinary Science or Degree in Veterinary Science and Animal Husbandry or Degree in Science (Veterinary) as listed in the First or Second Schedule of the Indian Veterinary Council Act, 1984. (ii) Registration with Veterinary Council of India or State Veterinary Council under Veterinary Council of India Act, 1984. Post Graduate Degree in Animal Breeding and Genetics or Livestock Production and Management or Gynecology and Obstetrics from a recognized University/Institute. For Lady Medical Officer (LMO) (Family Welfare) : A recognized Medical Qualification included in the First or Second Schedule or Part II of the Third Schedule (other than Licentiate Qualifications) to the Indian Medical Council Act, 1956. Holders of the Educational Qualifications included in the Part II of Third Schedule should also fulfill the conditions stipulated in the sub-section (3) of section 13 of the Indian Medical Council Act, 1956. Completion of compulsory rotating internship. For Junior Scientific Officer (Ballistics) : Masterâ€™s Degree in Physics / Mathematics/Forensic Science with Physics or Mathematics as one of the subjects at Bachelor of Science level from a recognized University or equivalent. For Assistant Engineer: Bachelorâ€™s Degree in Drilling or Mining or Mechanical or Civil or Electrical Engineering or Petroleum Technology from a recognized University or equivalent. For Junior Research Officer (Research, Statistics and Analysis) : Mathematics or Applied Statistics or Applied Mathematics or Mathematical Statistics from a recognized University or Institute. Application Fee: Rs. 25/- (Rupees Twenty five) only either by remitting the money in any branch of the SBI by cash or by using net banking facility of the SBI or by using visa/master credit/debit card. No fee for SC/ST/PH/Women candidates of any community. Last Date of Online Application : 12/10/2017. Last Date for Printing of Completely Submitted Online Application: 13/10/2017. How to Apply: Interested & Eligible Candidates can apply online through http://www.upsconline.nic.in. Last date for submission of online application is 12th Oct 2017. Subscribe our Sarkari Naukri for Latest UPSC Advertisement.